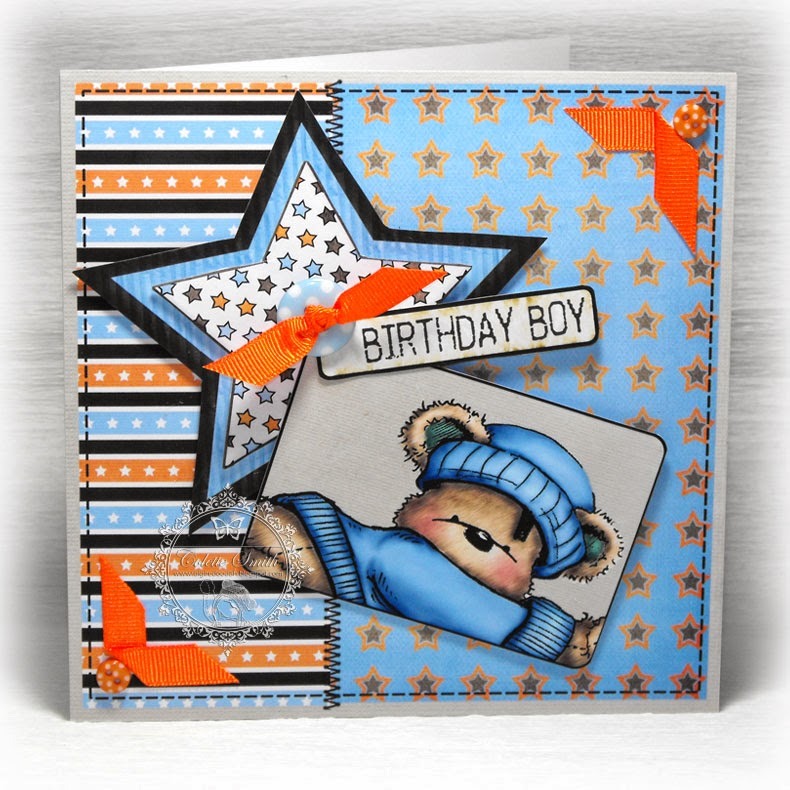 I made this card for a friends son, for his birthday, and couldn't believe my luck when I realised that the spotty buttons from Meiflower that I have had in my stash for some time now, were practically a perfect match for the spotty paper I had used on the card. I added a length of grosgrain ribbon across the centre circle, which I looped at the other end, and then fixed the button, with a piece of waxed cord knotted through the button holes, over the top, finishing off with a large black stick on pearl in each corner, all available from Meiflower. full details on my blog ! 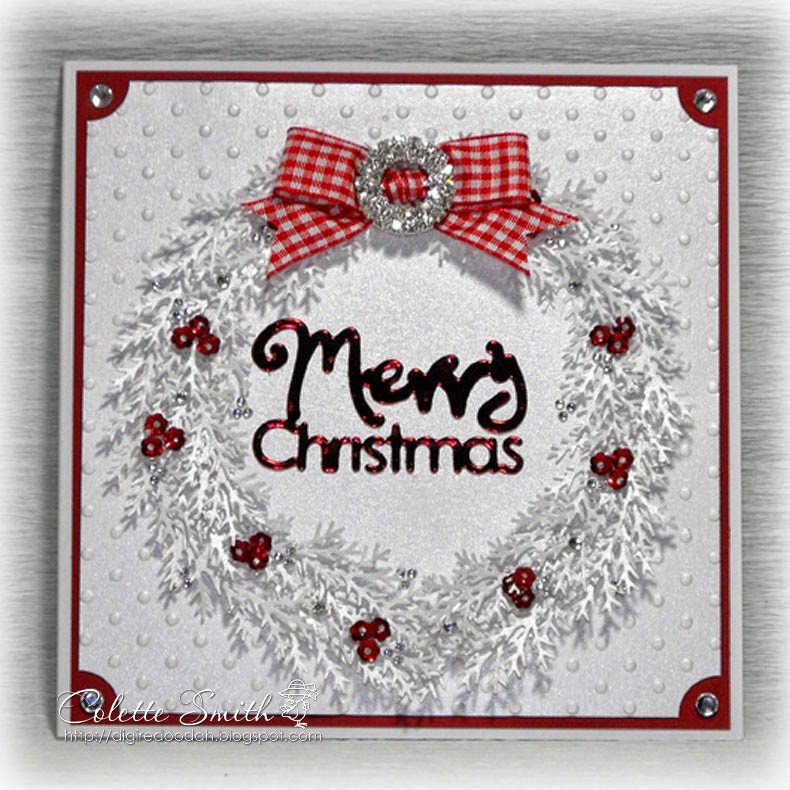 Just wanted to show you this quick Christmas card, the design is printed onto one sheet of paper, I cut it out and attached some of Meiflower's pretty red satin ribbon and an acrylic ribbon slider before fixing it into place on a Kraft card blank. I added a die cut frame, some stick on gems and the sentiment and viola! one completed card in under 20 mins, brilliant if you have a large batch to make up. Hi, on today's card I made some decorative corners using Meiflowers grosgrain ribbon and polka dot buttons. 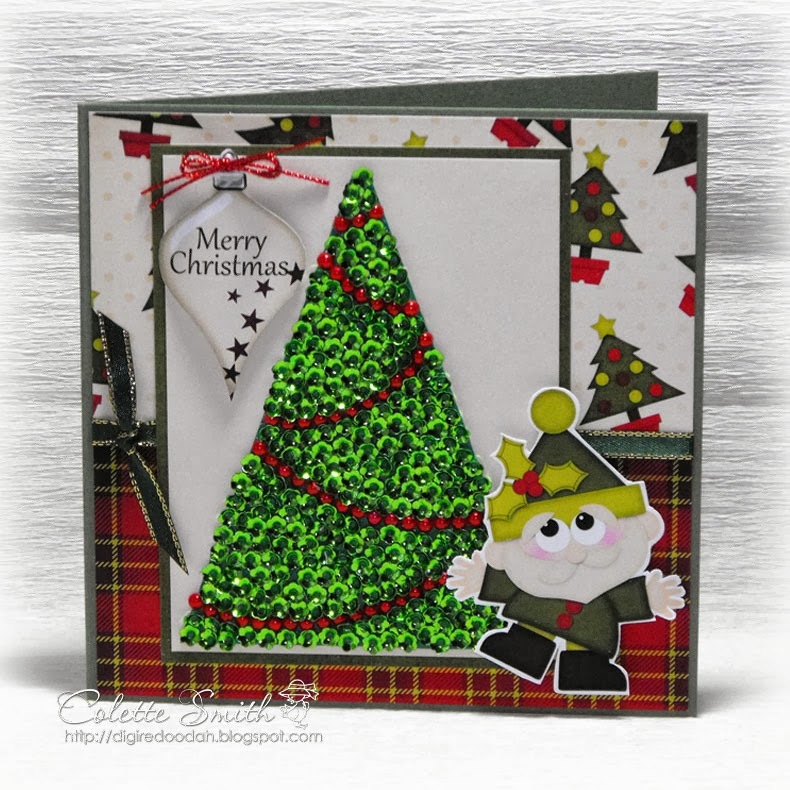 I cut two pieces of ribbon a couple of centimetres long, trimmed the edges at an angle and then folded them in the middle before using red tape to stick them into place on my card, I then added a small button to the corner to finish the design. 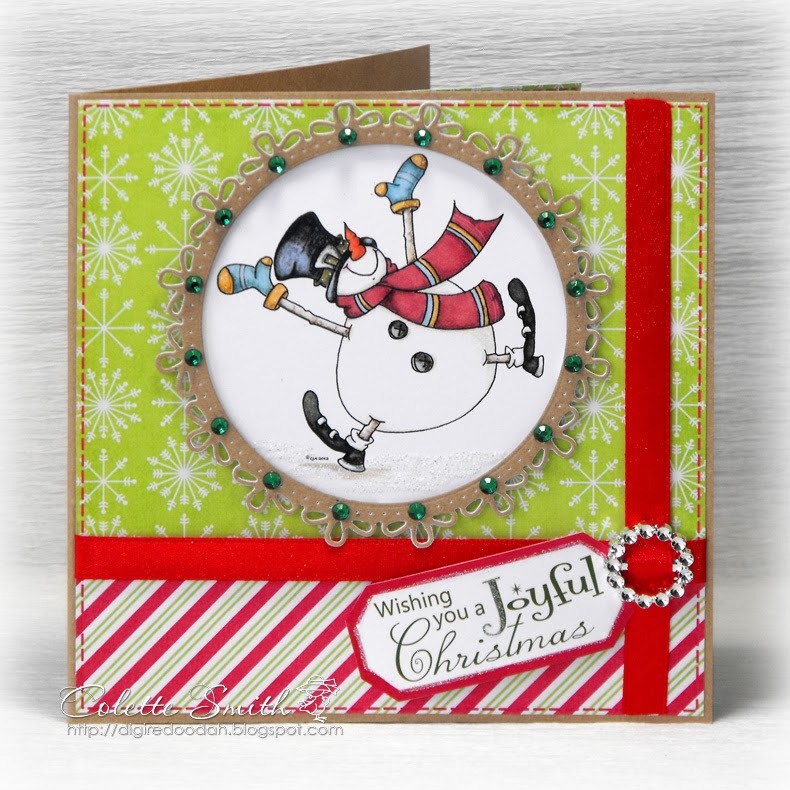 The large polka dot button is also available from Meiflower. 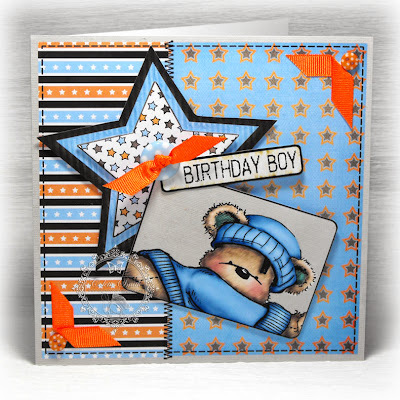 Another card using Crystal Blossom sequins from Meiflower. This time around I have used them to represent berries on a Christmas wreath. I used a Martha Stewart punch to make the wreath. 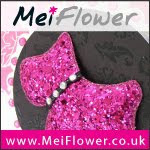 The gorgeous red gingham ribbon, diamante buckle and stick on gems are all available from Meiflower. 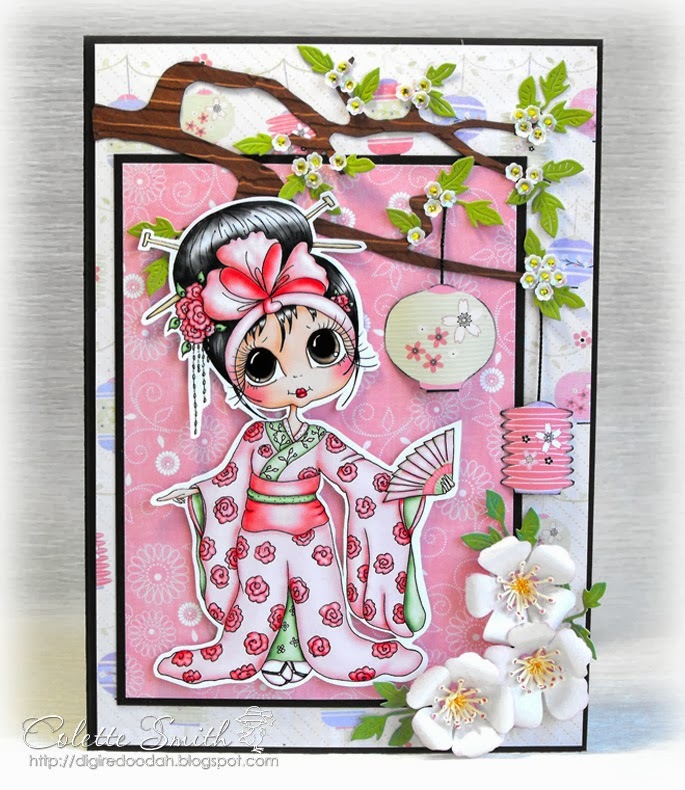 I'm back with another card containing the gorgeous Crystal Blossom sequins from Meiflower, this time around I have dotted them around a tree branch to look like cherry blossoms, I added a tiny yellow stick on gem to the middle of each one to make them look more realistic. Now this was one of those things that seemed like a good idea at the start, but after about an hour of painstakingly sticking on each sequin with tweezers didn't seem that good after all LOL! I have to admit though that it looks fabulous when the light catches it and all the sequins twinkle. Crystal blossom sequins, stick on pearls and metallic edged satin ribbons all from Meiflower. 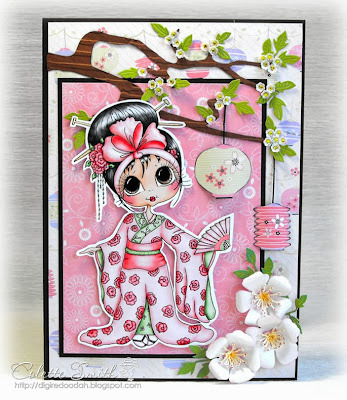 Hi there, I have been playing around with Crystal Blossom Sequins from Meiflower and over the next few days will be showing you a few of the different things I've done with them. 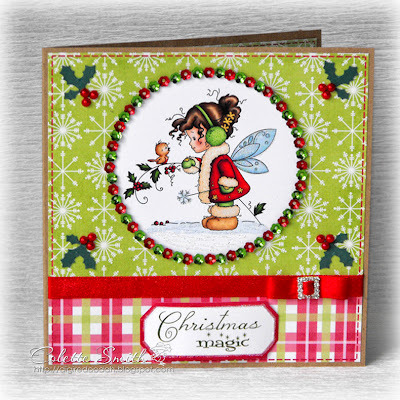 On today's card I made a simple frame around my image, alternating red and green sequins. It didn't take too long to do, I just put a line of tacky glue about a third of the way around the circle and then stuck the sequins into it, picking them up and placing them down with a pair of tweezers, I then did another line of glue around the next third attached the sequins and then finally completed the last third. The photo doesn't show just how sparkly they are. 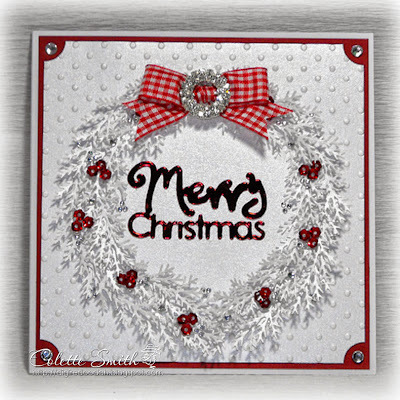 I also used satin ribbon, a tiny square diamante slider and some stick on pearls for the holly berries.